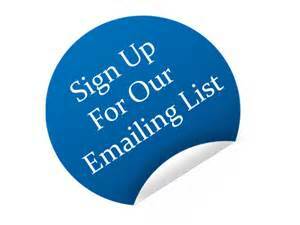 We are pleased to offer our January newsletter for your reading pleasure! 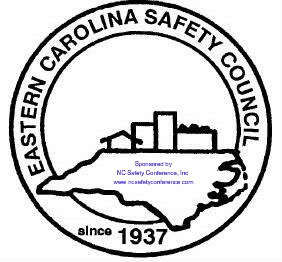 May 16 - 18, 2017 at the Koury Convention Center in Greensboro, NC. Safety is everyone's business! Share your commitment to safety at work daily. We begin 2017 with high hopes for a successful year. Our employees have had much needed time off with family and friends. 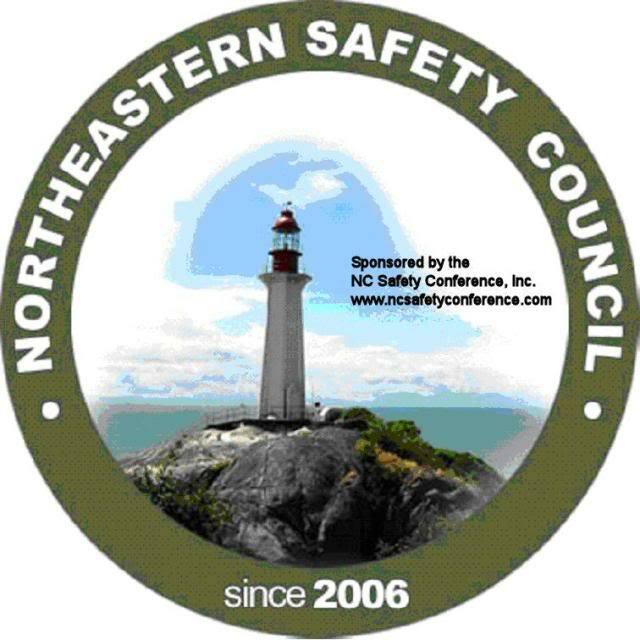 As we look to the new year and begin planning your safety training, we ask you to encourage employees that Safety is Everyone's Business! Why not make a resolution to share your commitment to safety at work with all your coworkers? Align your safety goals with your organization's ideology and vision. 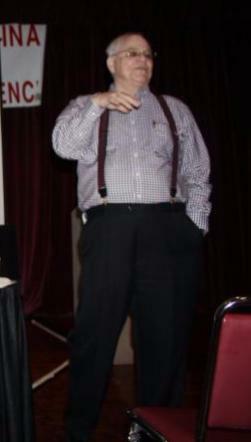 Everyone needs to see that safety is a strategic business objective. Establish a new definition of safety. It's not so much about the absence of injuries but more about the barriers, defenses, and actions you're taking to prevent incidents. Focus metrics on the everyday actions that lead to safe outcomes. Brand safety efforts around the promises you make. Everyone wants to believe in something; make that something the safety improvement effort. Invest in and use technology to improve reporting. The right technology solution can bring efficiency to safety. It also provides a platform for sharing experiences and lessons learned. Look for good safety habits and share them. Identify and promote behaviors that start a positive chain reaction as they move through the organization. 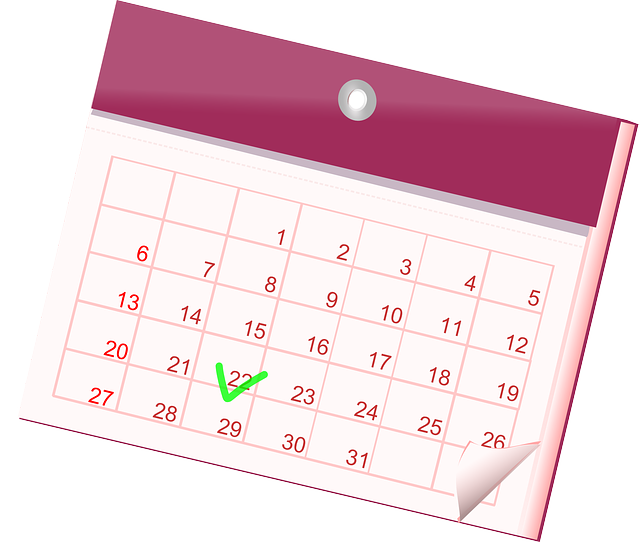 January is National Radon Action Month (www.epa.gov/radon/national-radon-action-month-event-planning-kit), which is a great time to learn about this dangerous substance. Radon is a cancer-causing, radioactive gas. Although most people don't know it, radon claims the lives of about 20,000 Americans each year. Generally, the cause of death is lung cancer. In fact, the surgeon general warns that radon is the second leading cause of lung cancer in the United States (smoking is the first). Although lung cancer can be treated, the survival rate is one of the lowest for any cancer. This reality is especially troubling because exposure to radon is a preventable health risk. Where does this deadly gas come from? Radon comes from the natural breakdown of uranium in soil, rock, and water. From there it gets into the air, and then it's inhaled. According to the U.S. Environmental Protection Agency (EPA), radon can be found all over the country and can get into any type of building-homes, offices, and schools. But most people get the greatest exposure at home. Worse news: It's estimated that nearly 1 out of every 15 homes in the United States has elevated radon levels. Typically, radon moves up through the ground to the air above and into your home through cracks and other holes in the foundation. Then it gets trapped inside where it can build up. The only way to know if a home has a radon problem is to test. 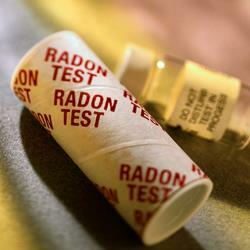 The EPA and the surgeon general recommend testing all homes below the third floor for radon. There are many kinds of low-cost do-it-yourself radon test kits available online, in hardware stores, and in other retail outlets. If you prefer, you can hire a qualified tester to do the job for you. But before you hire anyone, the EPA suggests you contact your state radon office and obtain a list of qualified testers. Radon problems can be fixed. Radon reduction systems are both effective and affordable. Some radon reduction systems can reduce radon levels in a home by up to 99 percent. There are several proven methods to reduce radon, but the one primarily used is a vent pipe system and fan, which pulls radon from beneath the house and vents it to the outside. This system, known as a "soil suction radon reduction system," doesn't require major changes to the home. Sealing foundation cracks and other openings makes this kind of system more effective and cost-efficient. Similar systems can also be installed in houses with crawl spaces. Radon contractors can use other methods that may also work in your home. The right system depends on the design of your home and other factors. Trenching, Confined Space or Not? When conducting trenching or excavation work, would a trench be considered a confined space? A trench should indeed be treated as a confined space due to the changing factors that take place while individuals are conducting work in a trench area. The City of Kinston uses the practices to treat all trenches and excavation activities as permitted confined spaces. The process starts with obtaining a confined space permit for the job. Next, a job briefing is held to ensure all employees on the job site are familiar with the job that is taking place. Once the permit and briefing are complete, the trench is tested with a gas monitor at all levels to ensure the safety of the employees conducting work in the trench area. During the duration of job, the gas monitor remains in the trench for continuous testing of the area. The reason for continuous testing in trenches is that there may be hazards that are presented while the job is being conducted, such as, employees may be exposed to an unexpected sewer leak or if there is a layer of sludge that is disturbed at the bottom of the trench could cause harm to the employees. Therefore, all trenches at the City of Kinston are deemed and treated as a permit required confined space. All employees are trained and certified before being allowed into a trench or confined space. Also, attendants are present at all times and the local fire department is notified for rescue operations before the confined space entry begins. By using this method, I strongly feel that unexpected trenching accidents can be prevented by taking extra precautions to eliminate hazardous atmospheres for employees. It is very important to encourage employees that they need to go home the same way that they arrived to work. 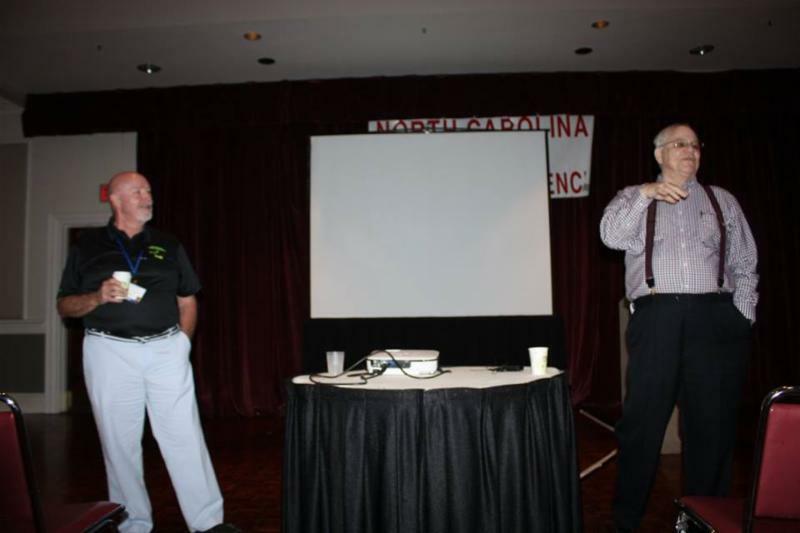 If you need additional training on this or other topics, please give us a call at 252-203-3192 to schedule a class. Nearly 5,000 American workers suffered job-related amputations in 2014 according to the U.S. Bureau of Labor Statistics. Partial or total amputations of fingers are the most common job-related amputations, but workers also lose hands, feet, arms, and legs at a disturbing rate. The federal Occupational Safety and Health Administration (OSHA) first issued a National Emphasis Program (NEP) on amputations in 2006. In late 2015, the agency updated its amputations NEP, and state plan states like California that have their own job safety and health programs will be required to follow suit. An amputation is the "traumatic loss of limb or other external body part," according to OSHA. Completely or partially severed body parts are considered "amputated." At work, amputations can result from a variety of causes, including crushing incidents, falls, and motor vehicle accidents. By far the most common cause of amputations in the workplace, however, is machinery hazards. These hazards-employee exposures to unguarded or inadequately guarded machinery and equipment, together with associated hazardous energy exposures during servicing and maintenance activities-are the focus of OSHA's updated NEP. Providing a barrier that is synchronized with the operation cycle to prevent entry to the danger area. Select "True" or "False" for the following statements. The most common cause of amputations in the workplace is falls. Just five weeks after a 28-year-old maintenance worker lost part of his right arm in an improperly guarded bread wrapping machine at a wholesale baking company, federal safety inspectors investigating the injury found a coworker exposed to the same hazard. On November 3, 2016, the Occupational Safety and Health Administration proposed penalties of $146,979 for one willful and two serious violations of safety standards at the facility. Inspectors found the company, which has production and distribution operations in Ohio, Indiana, Kentucky, and Tennessee, continued to allow employees to clean the machine without isolating operating parts. Investigators determined the worker was using an air wand to remove bread crumbs from the machine and conveyor belt when he was injured on May 29, 2016, resulting in the amputation of his right arm just below the elbow. Federal safety inspectors found workers cleaning the same wrapping machine on July 7, 2016, with- out properly guarding and locking out operating parts, exposing them to amputation and other serious injuries, resulting in the willful violation. The U.S. Substance Abuse and Mental Health Services Administration (SAMHSA) says that in 2015, four percent of American adults 18 and older thought seriously about suicide during the past 12 months. More than 42,000 people in the United States die at their own hand each year, and the rates for completed suicide are up 27 percent since 2000. People who drank alcohol and used illicit drugs in the past year had much higher levels of suicidal thoughts and actions than the general adult population. SAMHSA's Kana Enomoto says "Everyone...family, friends, teachers, faith community leaders, co-workers, healthcare providers, can save a life by reaching out to someone in crisis and assisting them in getting the help they need." According to the Carson J. Spencer Foundation, a suicide prevention organization, the construction industry is in the top 9 occupations at risk for suicide. Men in high-skill and high-stakes occupations (like supervisors of heavy construction equipment) are almost 1.5 times more likely to die by suicide. 1. How long should you season wood before burning it? 2. How often should you empty the ashes? 3. Which of the following should you NEVER burn in your fireplace or woodstove? 4. How often should you have your chimney cleaned? 5. What's the best way to reduce indoor air pollutants from wood-burning fires? a. 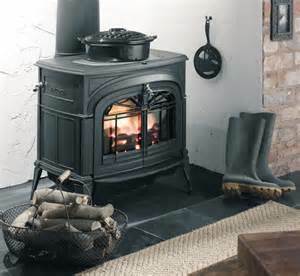 Use an indoor air HEPA filter in the same room as a stove or fireplace. b. Keep the fire burning hot. 1. b. At least 6 months. Keep wood outside for at least that long to allow moisture to evaporate. Consider getting a wood moisture meter to test the moisture content. The most efficient burning happens when the moisture content is less than 20 percent. 2. b. Regularly remove ashes to ensure proper airflow. 3. c. All of these. Never burn garbage, cardboard, plastics, wrapping materials, painted materials, or pressure-treated wood in your stove or fireplace. 4. a. Annually. It's best to have a certified chimney sweep clean your chimney in order to thoroughly remove all creosote buildup, which accounts for seven percent of home fires. 5. c. Both of these. HEPA filters can reduce indoor particle pollution by as much as 60 percent. Hot burning is efficient and produces less creosote. Consider getting a stovepipe thermo- meter with a gauge that indicates "efficient" or "creosote forming." New Jersey Department of Environmental Protection Commissioner Bob Martin assures that "... small particles and other air pollutants ... can be significantly reduced with some common-sense practices, better protecting your health as well as your neighbors' health and creating the climate for a safer and more enjoyable season." As some of you may know, Mel recently underwent surgery for colon cancer. His surgery was successful and he is now undergoing chemo. 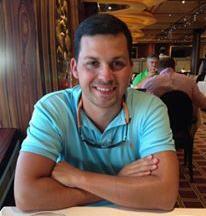 Doctors are encouraging and Mel maintains his positive attitude and request your prayers as his journey continues. Cadmium is an extremely toxic metal found in industrial workplaces where ore is being processed or smelted and in electroplating. Operations involving removal of cadmium paints by scraping or blasting may pose a hazard. Cadmium is also present in the manufacture of some batteries. Cadmium (CdO) emits a characteristic brown fume upon heating but since it's non-irritating it doesn't provide an effective warning. Overexposure can cause shortness of breath, chest pain, flu-like symptoms, acute pulmonary edema, and death. 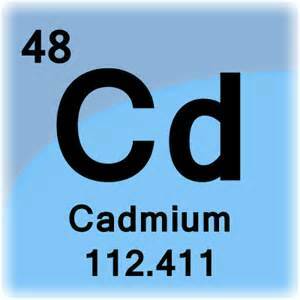 Repeated or long-term exposure to cadmium may result in kidney damage and an increased risk of cancer. Evacuate the area, and control the entrances. Moisten powdered spilled material first or use a HEPA-filter vacuum to scoop up or vacuum cadmium dust and debris in a way that prevents creating airborne concentrations of cadmium. Place in a sealed and properly labeled container. Contact your state environmental department or EPA regional office to find out how cadmium should be contained and disposed. 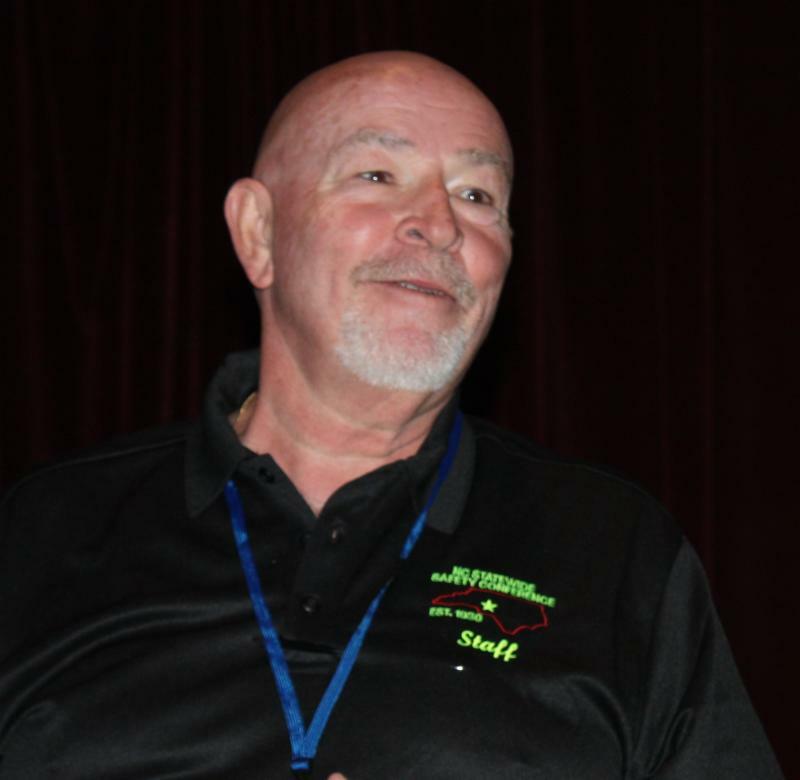 The Occupational Safety and Health Administration (OSHA) recently renewed its alliance with the American Staffing Association (ASA) with the goal of protecting temporary employees from work-place hazards. During the 5-year agreement, OSHA and ASA will continue to educate workers about their rights and train staffing firms and their clients on their responsibilities to protect workers under the Occupational Safety and Health Act. 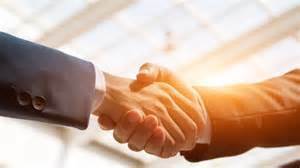 The partners will work together to distribute information on how to recognize and prevent workplace hazards and to further develop ways of communicating such to staffing firms, host employers, and temporary workers. Previous accomplishments include a webinar that discussed the safety and health obligations of host employers or clients using the services of staffing firms. Additionally, ASA provided its members with webinars focused on the shared responsibility of host employers and staffing agencies to workplace safety; Ebola-related liability challenges for staffing and recruiting firms; and how to handle workplace incident investigations. Weighing in at 6 to 9 pounds with a surface area of about 2 square yards, the skin is the body's largest organ and its first line of defense. It helps the body fight infection and injuries as well as maintain the body's temperature. The skin also makes vitamin D, which is crucial to calcium absorption and strong bones. In short, keeping your skin healthy is crucial to your overall health. Take short showers or baths; a long time in hot water can strip skin of moisture. Use bath oils and soaps with oils. Pat dry after baths and showers, and apply body moisturizers with oils. 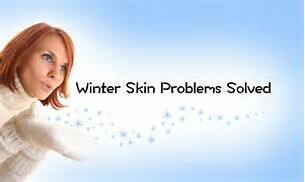 Use sunscreen even in winter. Wear a scarf around the neck and face on very cold, windy days to avoid windburn and chapping. Use humidifiers in rooms where you spend a lot of time, like family rooms and bedrooms. You can purchase small, inexpensive humidifiers in drug or department stores. Check out the American Academy of Dermatology's website (www.aad.org/ media/stats) for information on a variety of skin issues, including hair loss, psoriasis, aging skin, and more. 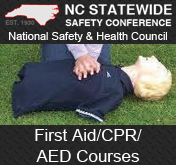 If you need First Aid/CPR/AED training, please give us a call at 252-203-3192 or email Dennis at dennis.parnell@ncsafetyconference.com to schedule. 1. False. Nearly 5,000 American workers suffered job-related amputations in 2014 according to the U.S. Bureau of Labor Statistics. 2. False. Partial or total amputations of fingers are the most common job-related amputations, but workers also lose hands, feet, arms, and legs at a disturbing rate. 4. False. The most common cause of amputations in the workplace is machinery hazards. Do you need safety training? 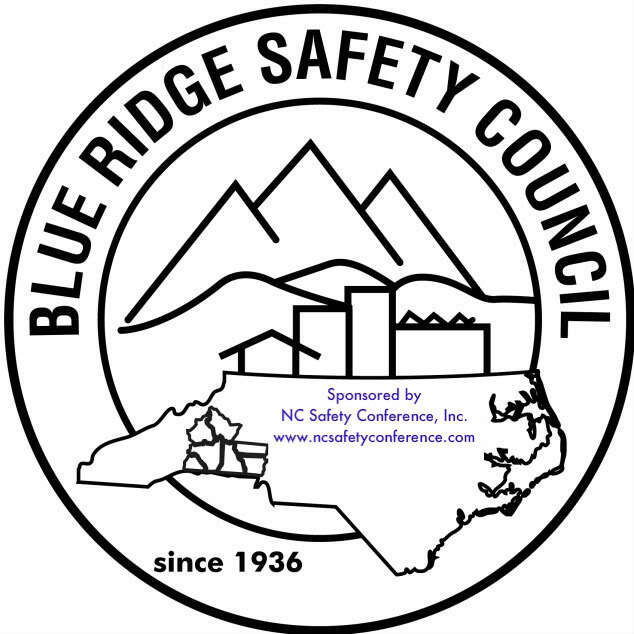 The NC Statewide Safety Conference, Inc. is now offering safety training from individual classes to all-day workshops, water and wastewater credit hours, First Aid/CPR/AED, Flagger Certification, Defensive Driving and more. 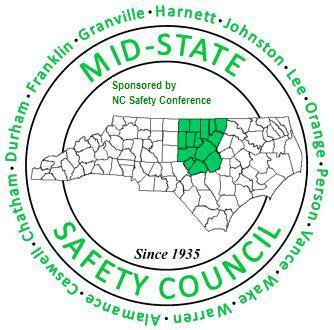 The NC Statewide Safety Conference, Inc. sponsors 5 Regional Safety Councils. The Western Carolina is now merged with Western Piedmont, Central Piedmont merged with Mid-State, Western Piedmont and Blue Ridge and Southeastern is merged with Mid-State, Blue Ridge and Eastern Carolina. 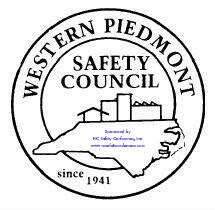 For further information, please give us a call at 252-203-3192 or visit our website look under Safety Councils. 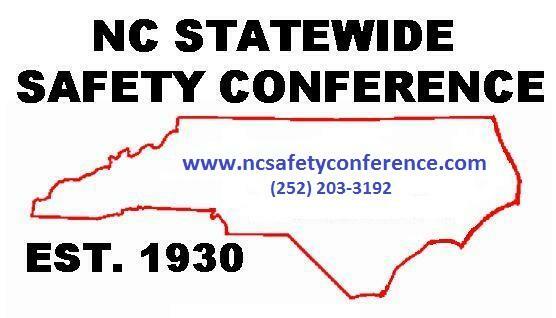 NC Statewide Safety Conference, Inc.
Do you have an interesting safety-related article that you would like to share? If so, please send it to us and we will be happy to share it with everyone!